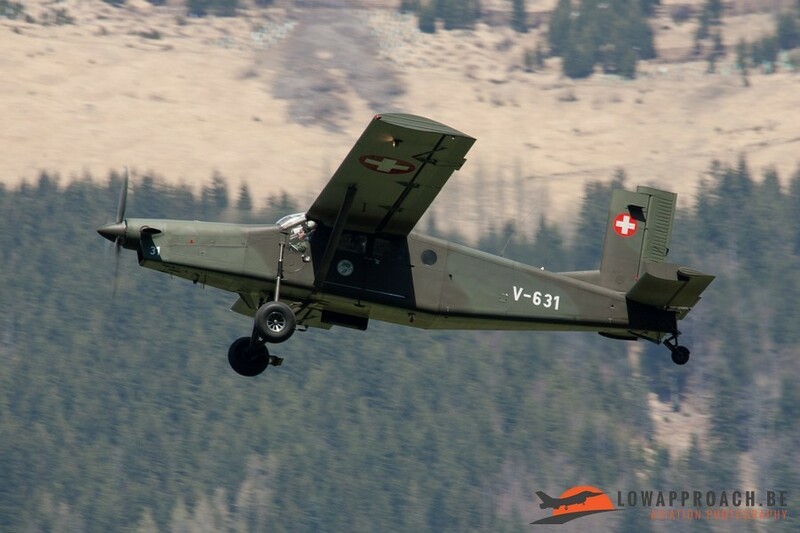 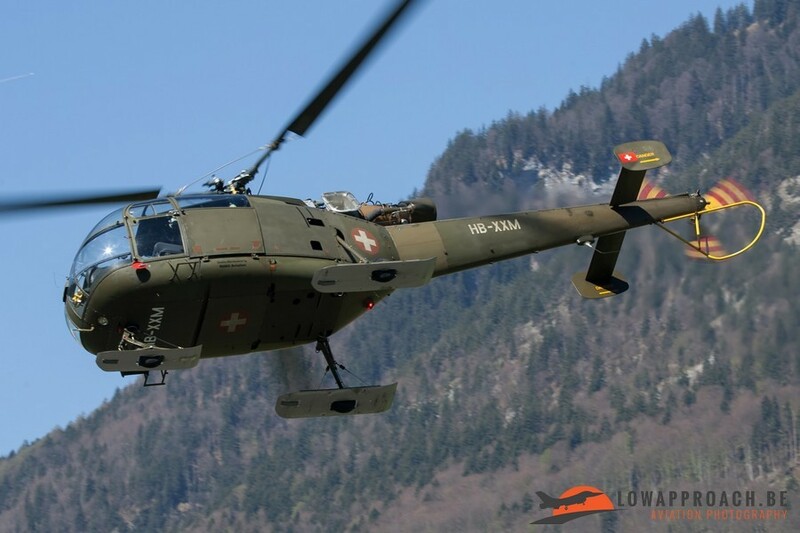 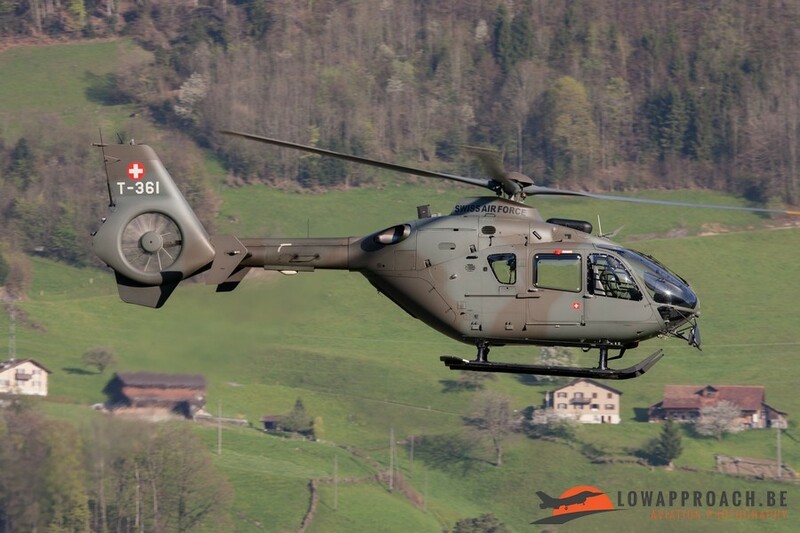 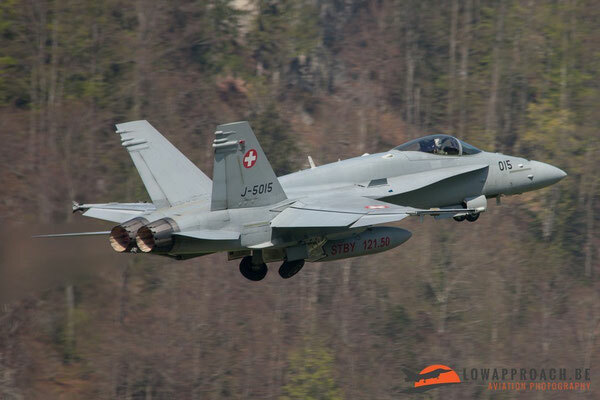 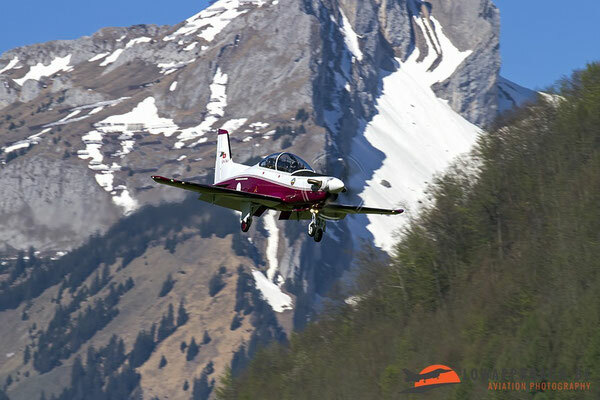 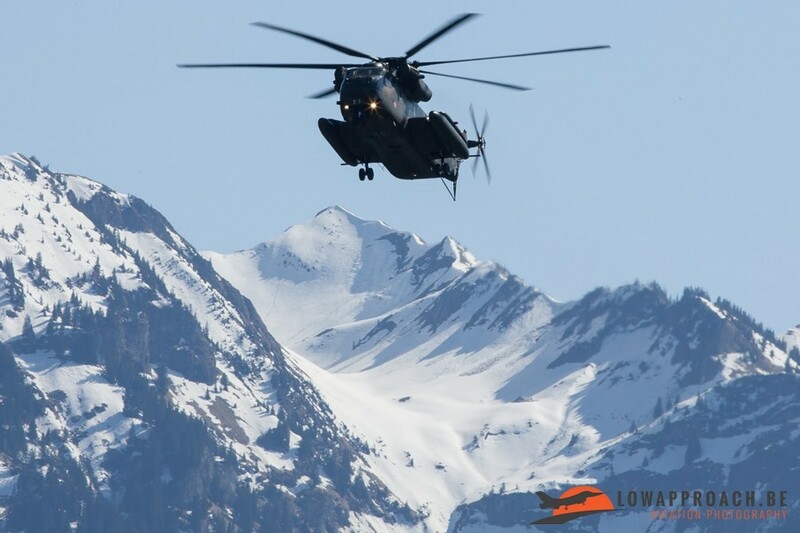 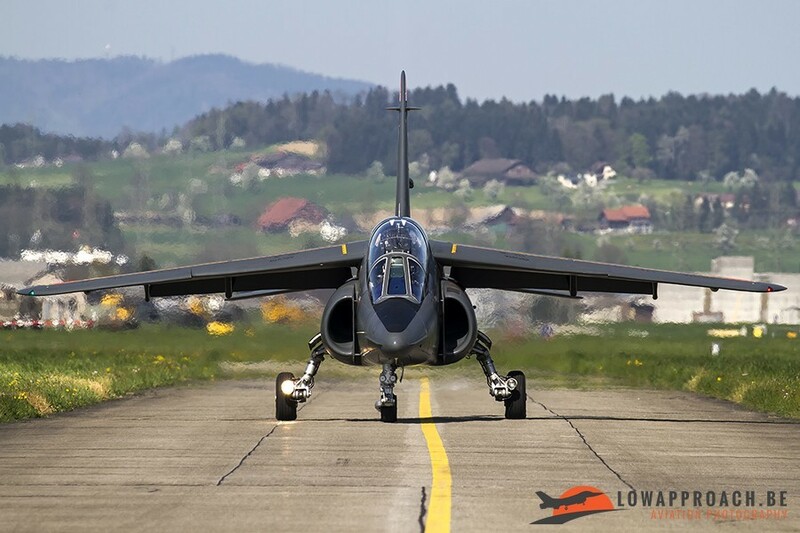 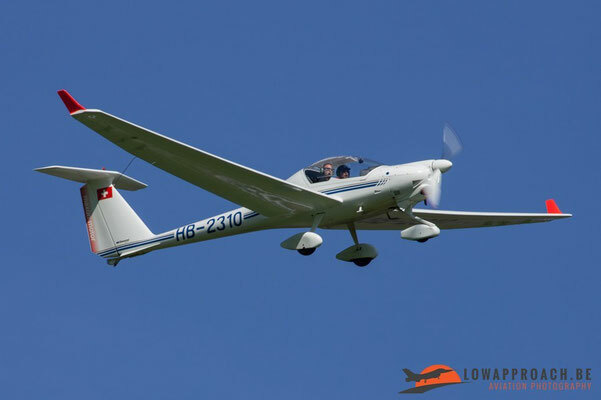 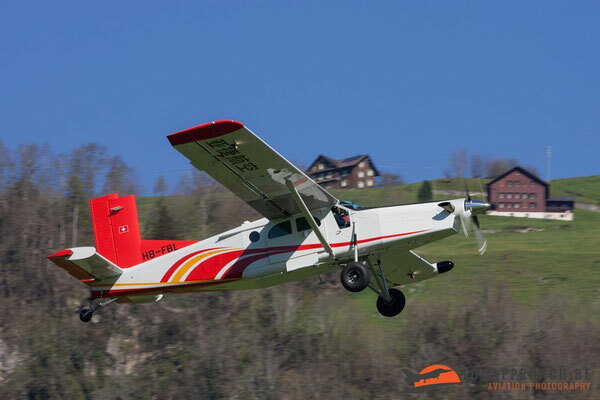 During a week in april Low approach traveled to Switzerland for the 3th time, we visited a couple of airbases and we came home with some very nice pictures and the following report. 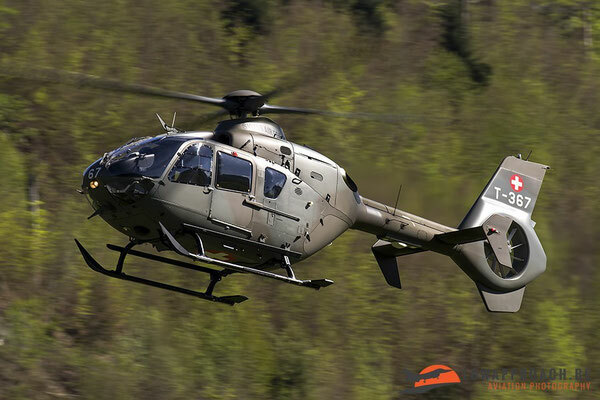 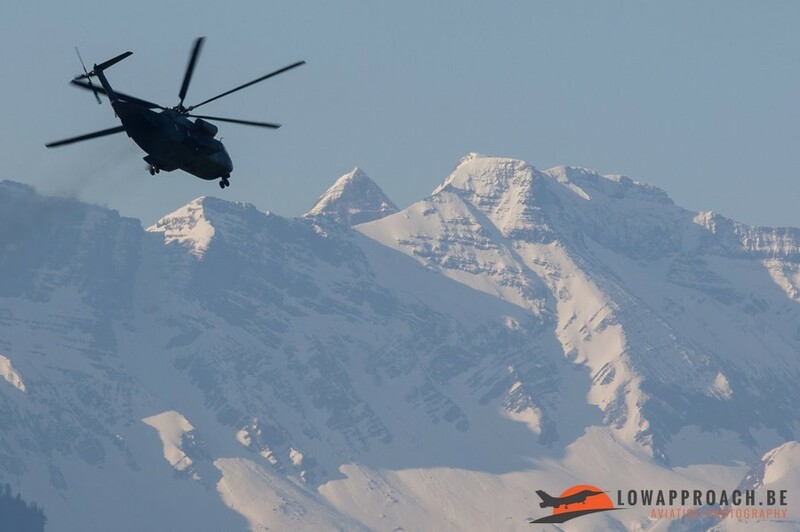 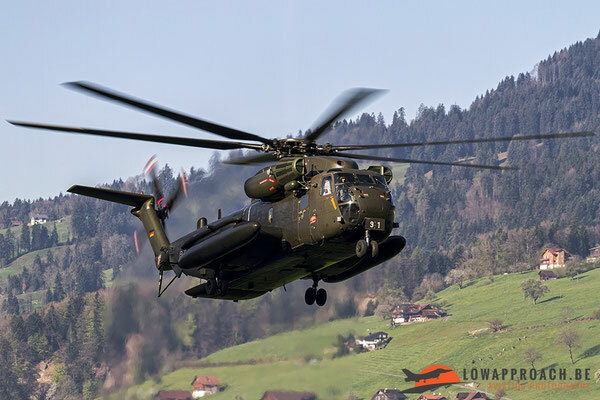 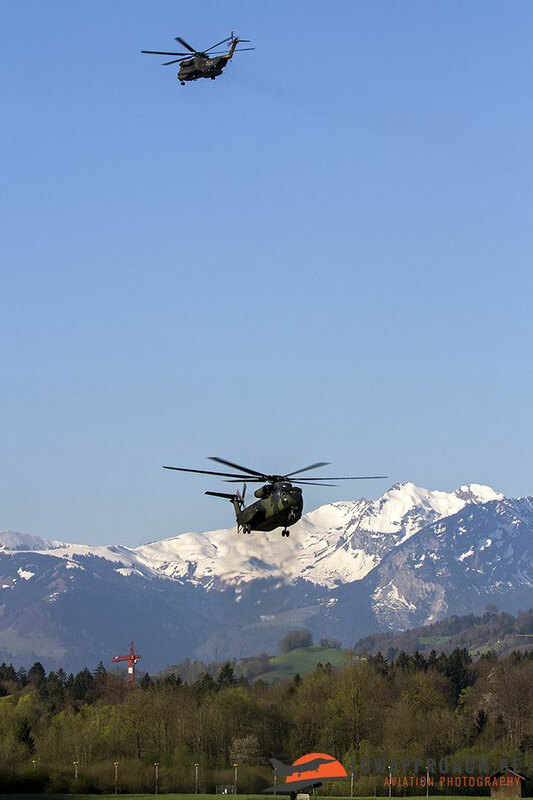 On the first day we visited Alpnach Airbase in the morning, Alpnach is the main logistical base of the helicopters of the Swiss Air Force. 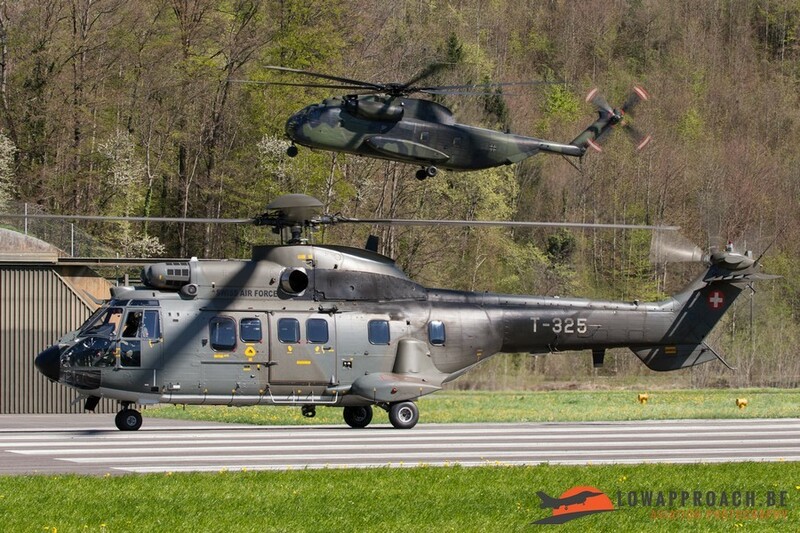 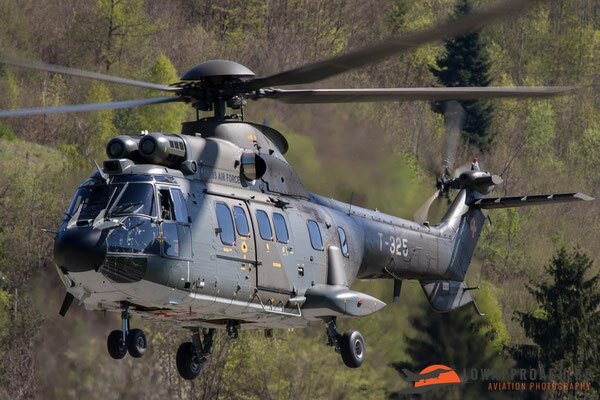 Standard helicopter types used at Alpnach are the Aérospatiale Super Puma, Eurocopter AS532UL Cougar Mk1 and Eurocopter EC 635. 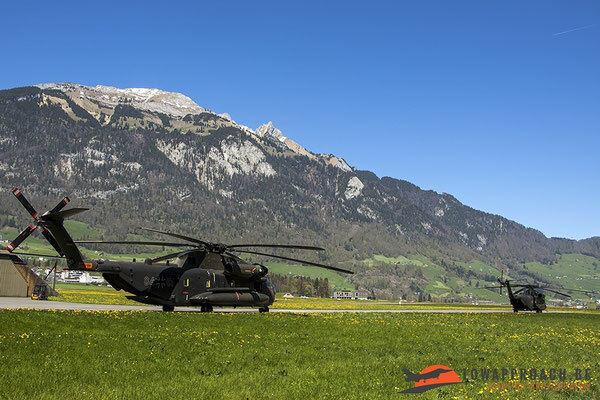 Not much traffic flew during our visit this day, we only saw 1 Super Puma, 1 EC 635 and a visit of PC-6. 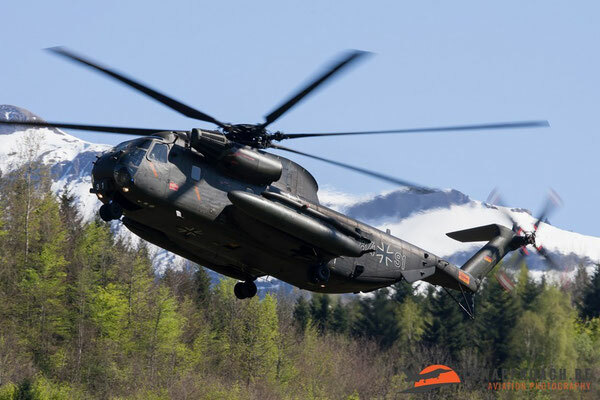 But when we arrived at the airfield we saw a nice surprise there were also 2 German CH-53's (1 CH-53G and 1 CH-53GS) at Alpnach for a couple of days. Luckily these 2 helicopters also flew a mission during our visit. 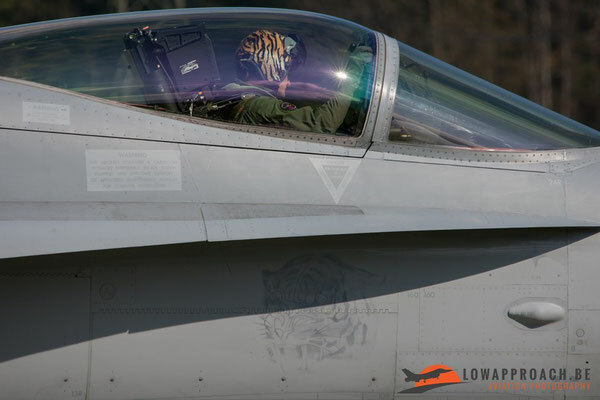 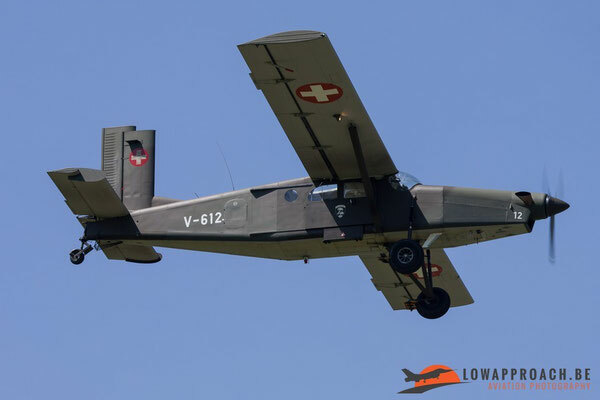 In the afternoon we decided to bring a visit to Emmen Airbase, the airfield of Emmen is used primarily for military use and is operated by the Swiss Air Force as training and alternate airfield for jet and propeller aircraft. 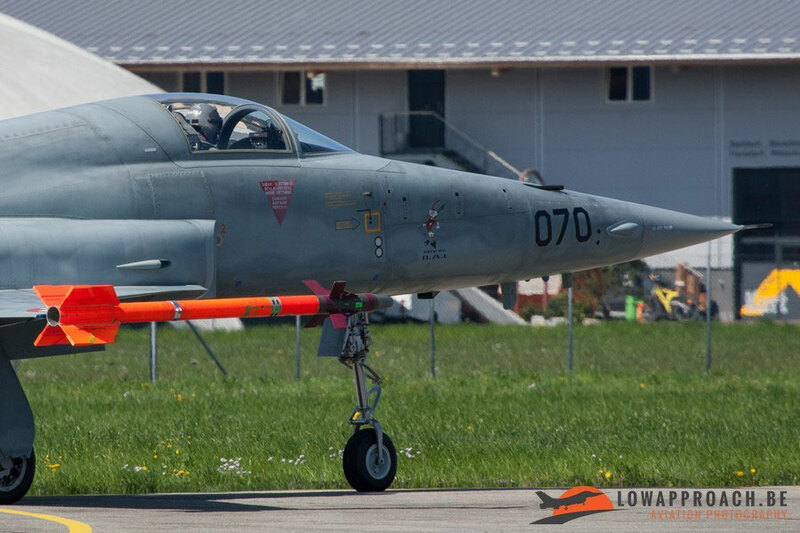 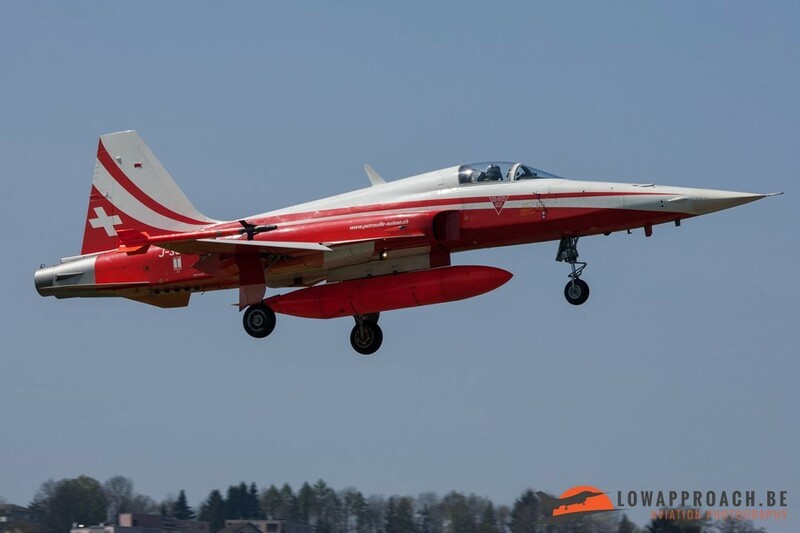 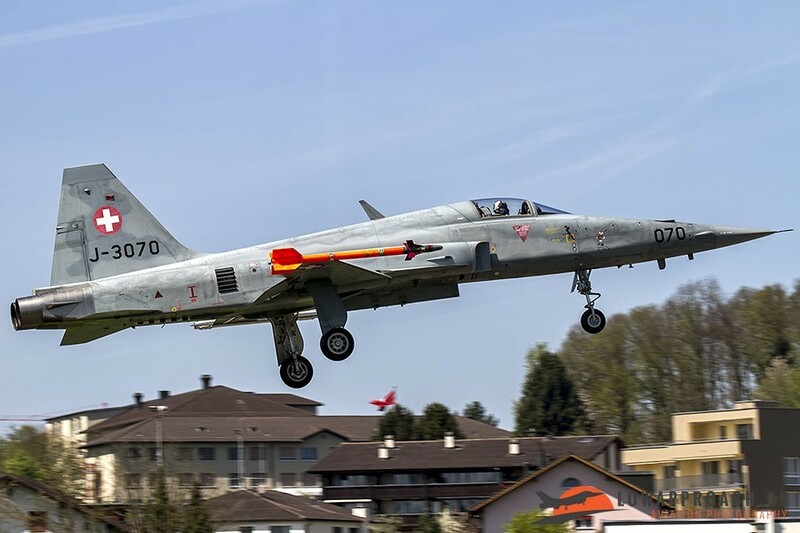 The following planes have Emmen as homebase: Patrouille Suisse with the Northrop F-5E Tiger II and the Pilatus PC-21. 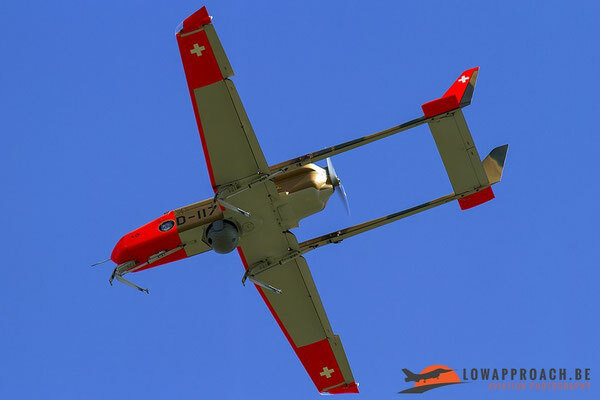 Emmen is also the homebase for the ADS95 RUAG Ranger UAV. 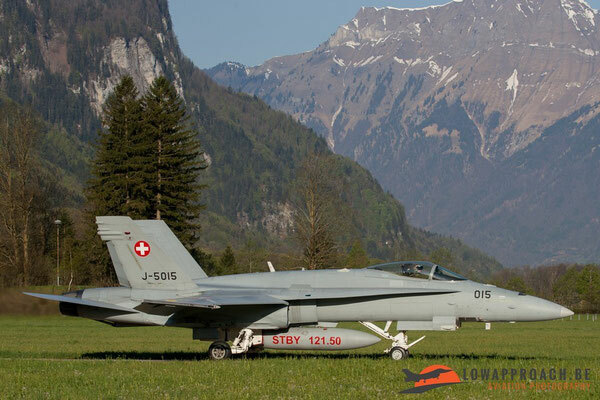 We were very lucky with the flight activity here, we saw 7 from the eight PC-21 flying, 1 PC-6, 2 F-5E’s, 1 EC 635, 1 PC-7, 1 French AF Alpha Jet on visit, and we also saw the DA42MNG and the PC-12EG From the Swiss AF. 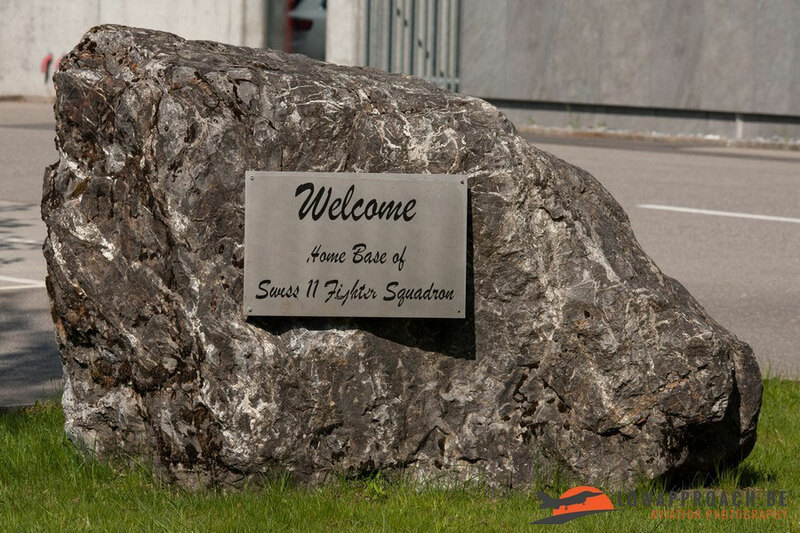 On the second day we travelled to Buochs in the morning where Pilatus has his factory and we were hoping to see some new ordered PC21’s. 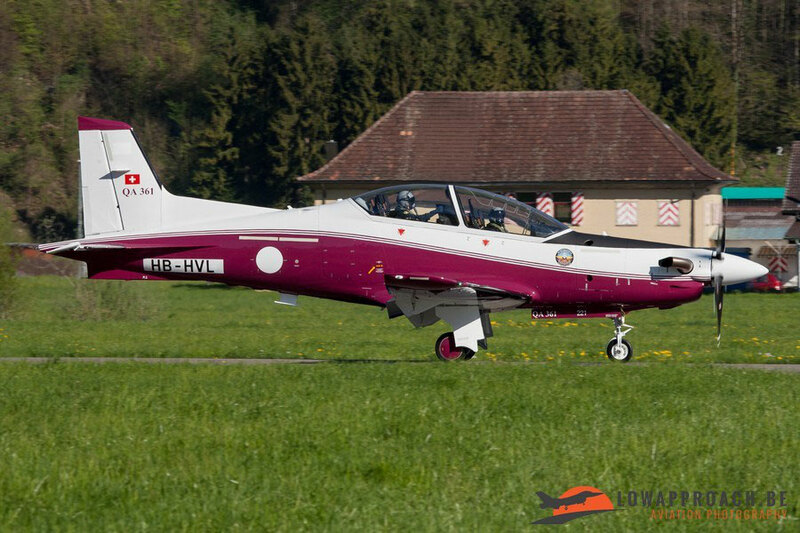 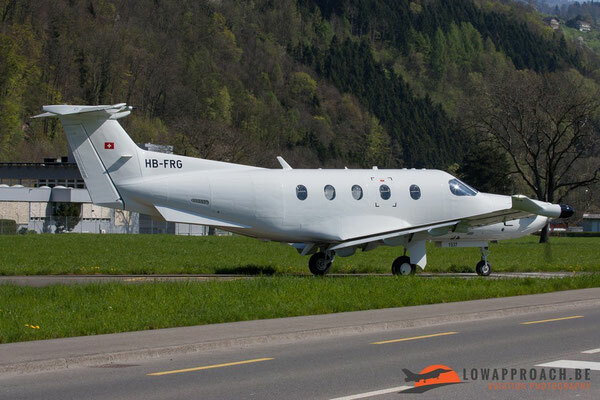 When we arrived at Buochs there stood 1 PC-21 from the Qatar AF outside. We waited and not long after we were lucky. 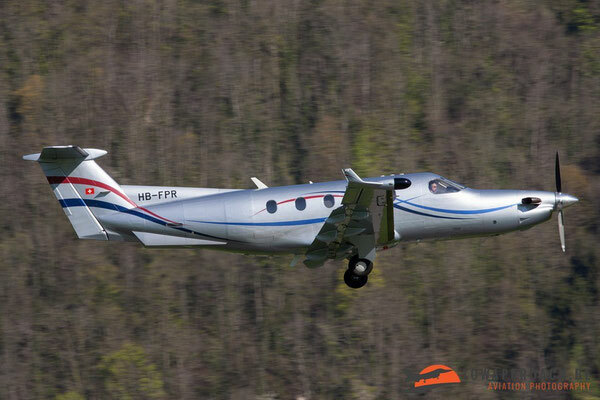 Besides the Qatari PC-21 we didn't saw a lot of activity, only 2 PC-21’s for the Saudi Arabia AF that were towed to another hangar, and 2 PC-12's and a civil PC-6 doing a testflight. 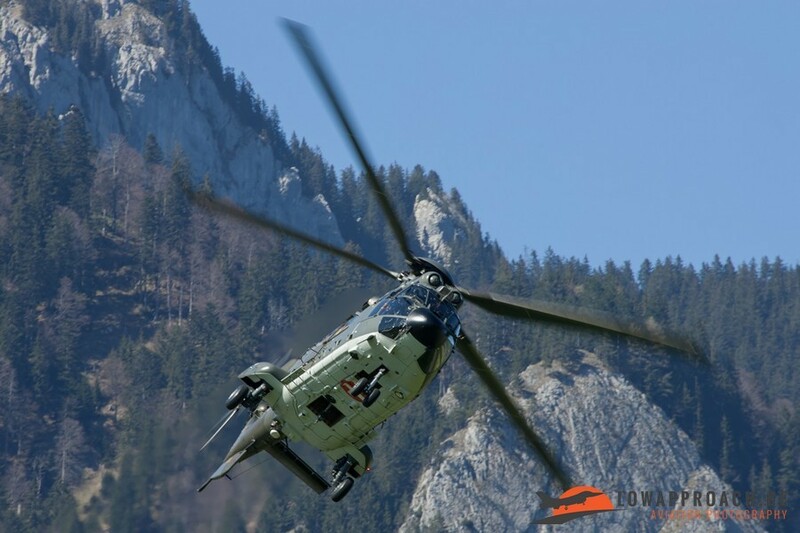 In the afternoon we made a visit to Alpnach again, and we were more lucky then the day before with a civil registered Allouette III on visit, 2 EC 635’s, 1 PC-6 on visit, 2 Super Puma’s, 1 Cougar MK1 and of course the 2 German AF CH-53’s. 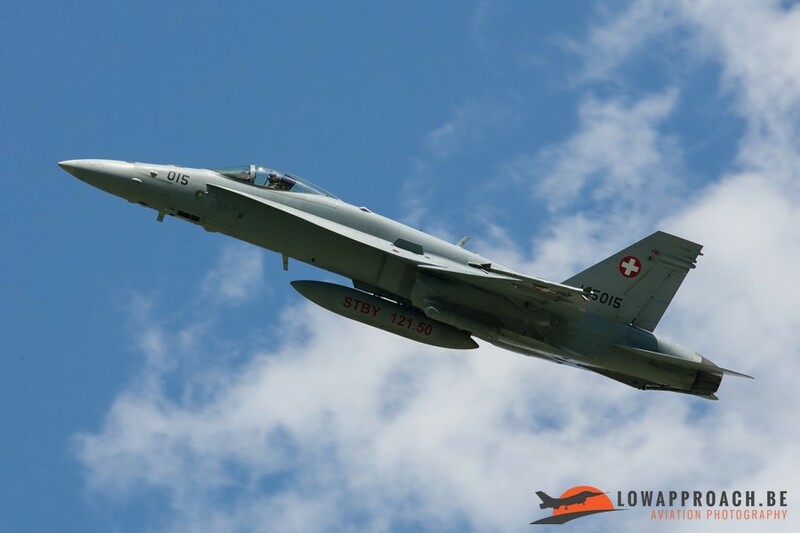 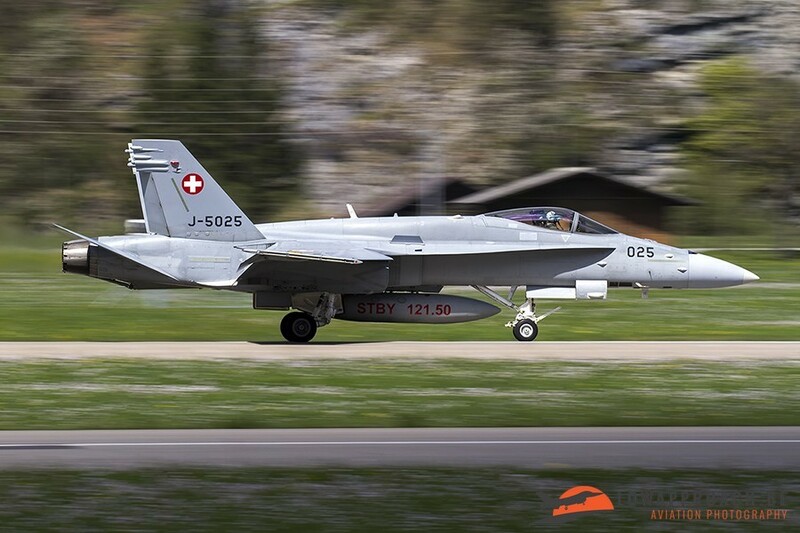 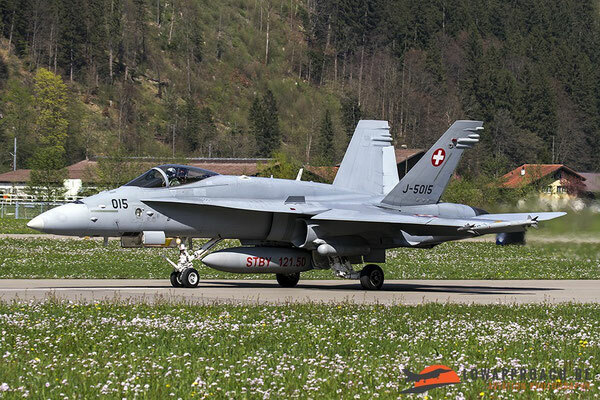 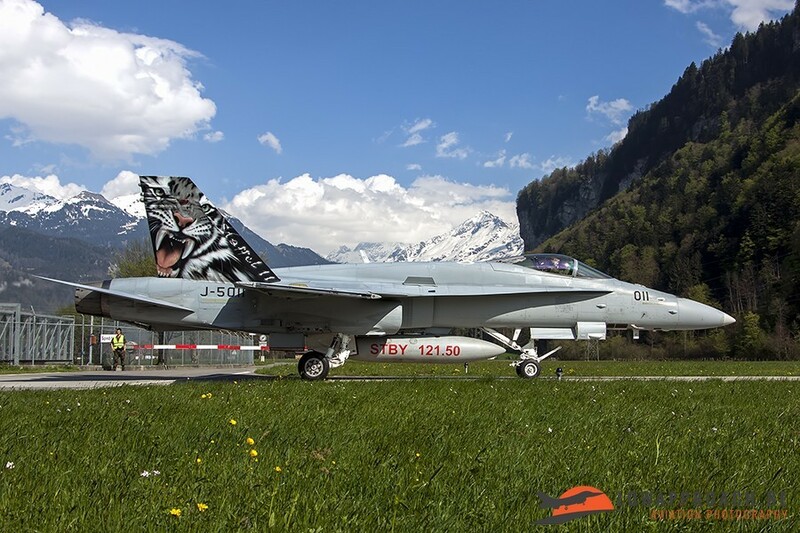 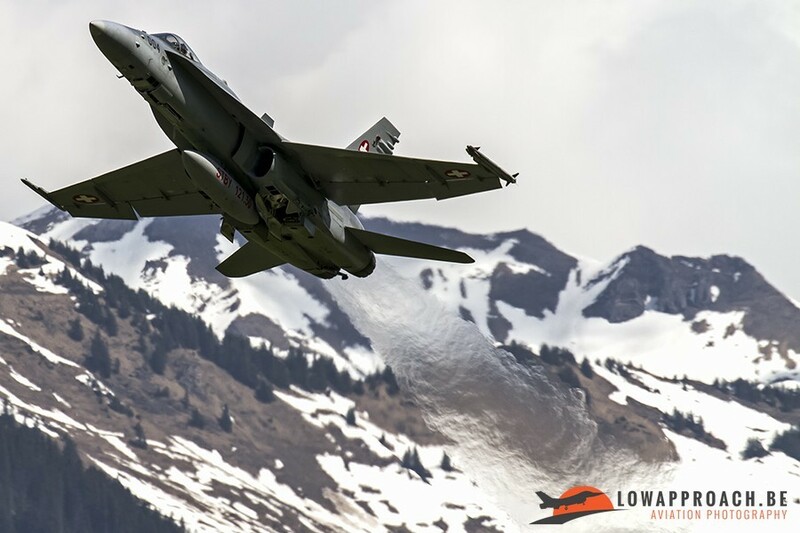 It was already the last day of our little trip to Switzerland and we decided to stay a whole day at Meiringen and try to catch some F/A-18C’s from the Swiss AF. 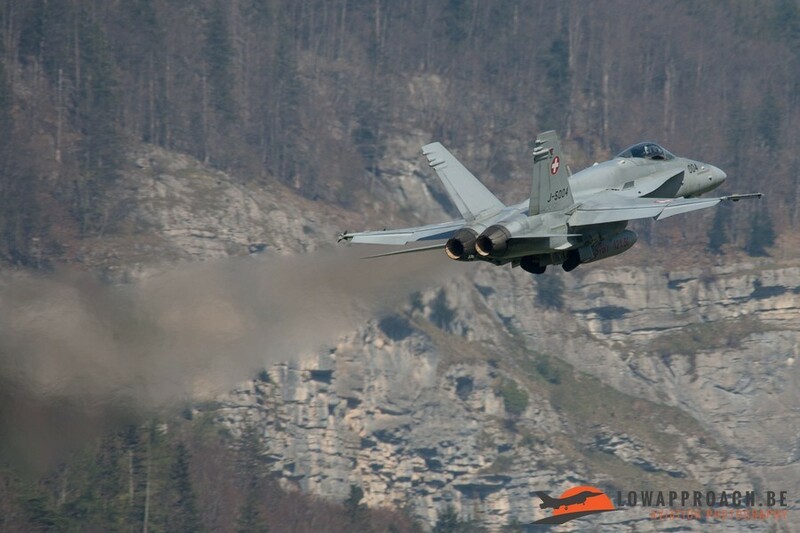 We where there exactly at 8.15 and we heard the first hornets starting up. 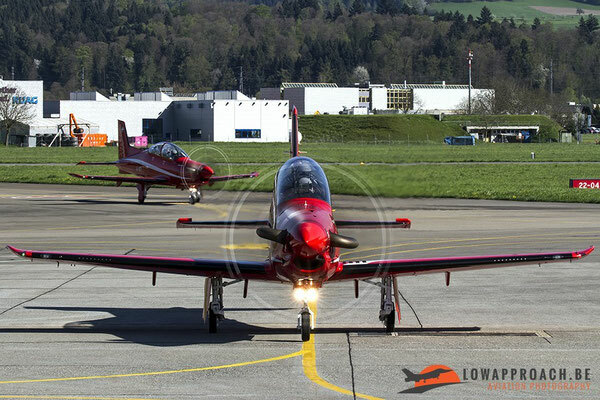 After a couple of minutes they already taxied in front of us. 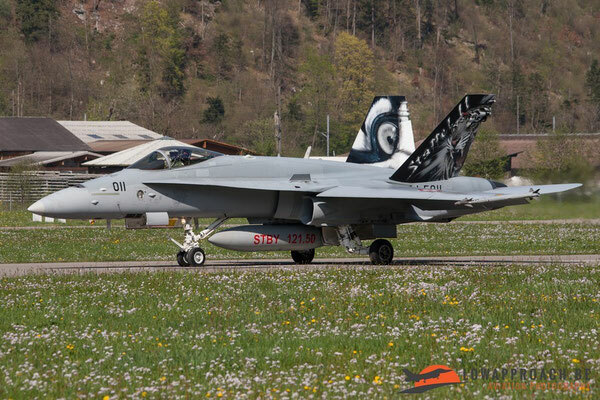 It seems that there were only 4 Hornets stationed at Meiringen that day, but luckily for us they all flew 4 sorties. 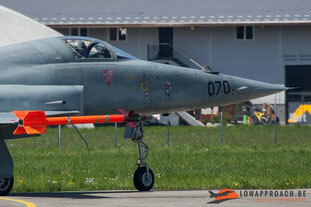 Beside the Hornets we also had visits from a PC-7, 4 PC-21’s and a PC-12EG.